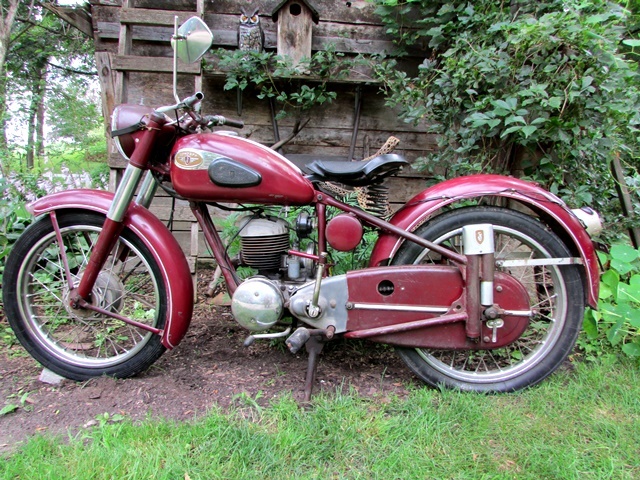 1955 German Zundapp Norma Luxus motorcycle. This is a very rare barn-find and in phenomenal original condition. We have not attempted to start or clean up this machine. As tempting as it is to do so, we have decided to let the new owner have the honor. The 200cc engine spins nicely and the transmission seems to shift through all 4 gears. 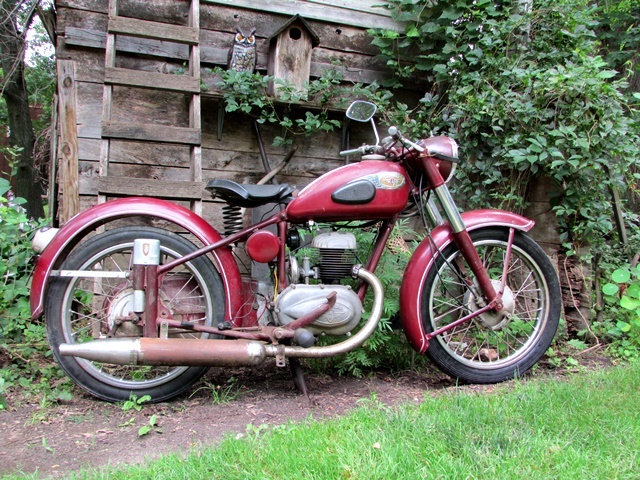 With only a few missing pieces like headlight bezel and switch, rear rack (or seat), grips, battery and throttle cable, this wonderful vintage 2 stroke motorcycle would make a easy restoration project for someone. Even better, spend a day working on it and ride it like it is!